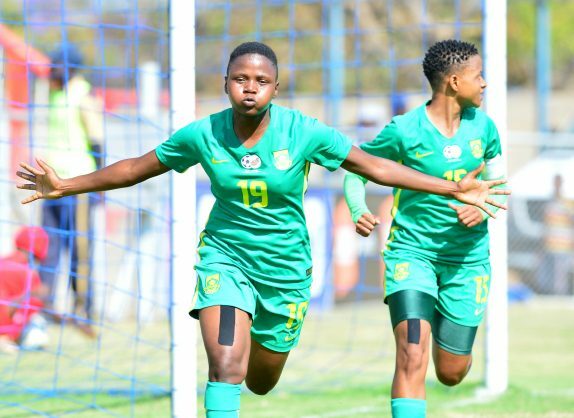 Banyana Banyana striker Rhoda Mulaudzi hopes her move to Canberra United in the Australian Westfield League will help her grow as a player and make a return to the senior national team setup. Mulaudzi, who has been playing for Mamelodi Sundowns ladies in the Sasol league last played for Banyana last year during a friendly match against Burkina Faso, which the Desiree Ellis charges won 4-0 at the Dobsonville Stadium. “I am very excited about the move and I believe it will help me to grow as a player. Most importantly, I would like to return to the Banyana team because it has been a while since I last featured for the team,” said Mulaudzi. The Limpopo born striker was announced as the new signing for Canberra, along with Banyana vice-captain Refiloe Jane this week. They will depart to Australia on August 29.